Feel Ready to Book this Tour? This tour was designed for all of those interested in the history of Lisbon. During the morning we will take you to visit Lisbon's historic centre that resisted the 1755 earthquake. The tour continues to the Wines of Portugal Tasting Room where we will give you the opportunity to discover some of the best wines produced in Portugal. We will take you to lunch in one of the best wine bars in Lisbon and during the afternoon you will learn about the Discovery Period in Portugal. Subject to confirmation according to availability. You will receive an email with the details of the reservation and after that (in a 48h period), a confirmation email. The confirmation Voucher includes complete information about the tour operator including phone numbers and places. Reservation guaranteed with credit card number. Tax is already included according to the legal tax in Portugal. Any suplements are paid separately. Payment: It will be charged 100% of the amount of the reservation when the reservation is confirmed. Cancellation: until 7 days prior to the date of the tour: it will be charged a 2,50% fee on the total amount of the reservation. Cancellation with less than 7 days prior to the tour date: it will be charged a cancellation fee of 100% of the total amount. No show: it will be charged a cancellation fee of 100% of the total amount. In the case of a force majeure event (are considered effects of force majeure event as follows: natural phenomena, natural disasters, fires, heavy rains, floods, volcanic eruptions, traffic accident, hostilities or any local or national emergencies; invasions; obedience to any order or application of any competent authority or any other public authority, decision or government intervention, military action, revolutions, strikes, civil disorder, transport reduction; closed airports or any other event, circumstance or exceptional and catastrophic emergency that makes it impossible, illegal or prevents customers traveling) the company WINTP - Wine Tourism in Portugal Lda. will not be held responsible for customers affected by the force majeure event, nor shall reimburse, or shall pay any fees, costs, expenses or any other value, booking changes or cancellations, per: a) any cancellation or change of reservation made by customers because of the force majeure event or; b) because it was not used part of the reserve due to the force majeure event. Your day will begin in Lisbon's city centre. In Lisbon's historic centre we will take you to visit Lisbon's Cathedral (Sé Catedral), the only building that survived the 1755 earthquake. Afterwards, we go up one of Lisbon's seven hills, in the Alfama neighbourhood you will go to Castelo de São Jorge, where you will have the opportunity to enjoy one of the most beautiful views of the city. Going down the typical streets of Lisbon's historic centre, we will take you to discover Baixa Pombalina, a place that was renovated after de earthquake, where you will find the Rua Augusta Arch and the Santa Justa Lift. In the western wing of Praça do Comércio or the old Terreiro do Paço is one of the most emblematic squares in Europe, the place that was home to the Royal Palace of Portugal for two centuries. Here, you will have a commented wine tasting by the in-house enologist at the ViniPortugal's Tasting Room. For wine and food lovers, we will take you to lunch in the lively Chiado neighbourhood, in one of the best wine bars in Lisbon, By the Wine, from world-renowned producer José Maria da Fonseca. During the afternoon, we will take you to the Belém area. The Discovery Time in Portugal left major historic landmarks in this area. In a walking tour, we will take you to discover the icons of the Discoveries: The Padrãos dos Descobrimentos, the emblematic Belém Tower and the magnific Jerónimos Monastery. At the end of the day we will sweeten your tour with the typical Belém pastry. The people are very welcoming. Most of the city attractions are still open and the food and wine are amazing. I had an excellent day there and was able to walk around the city. To me the best bit is the main square by the river. The square itself has magnificent architecture which continues into the city and up the hills. Any of the hills give beautiful views over the city and its surrounds. Worth the visit. Explore & find your favourite experience and book it. All in one place! Book with us with the guarantee of an exclusive experience at the best final price and no hidden fees. With us you will find a dedicated consultant, both wine savvy and local. Feel free to call us now at +351 226 102 075. Book the Portuguese premium wine experiences: unique tours and the finest hotels and restaurants. We’re experts on developing custom tours and our customer satisfaction stand above 97%. 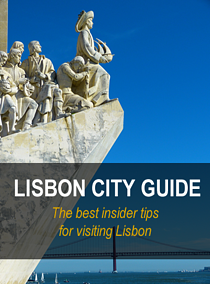 Do you want to learn more about Lisbon? 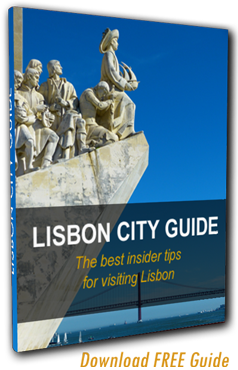 A complete guide for visiting Lisbon!